I picked up Prague Winter by Madeleine Albright (with Bill Woodward) excited but with really no idea of what I was getting into. I had expected a sort of memoir (the subtitle is “A Personal Story of Remembrance and War, 1937-1948”) but the book is actually a history with personal elements, not just of the very fascinating years from 1937 to 1948 but of all the years leading up to the war. This is the introduction to Czech history that I have spent so many years searching for and it is frankly marvellous. By 1900, 80 per cent of the [Austro-Hungarian] empire’s industrial production was based in the historic Czech lands of Bohemia, Moravia, and Silesia. The literacy rate was 96 percent, twice that of Hungary and higher, even, that the German. The economy was expanding more rapidly than that of England or France. The Czechs were leaders in rail service, coal mining, iron and steel production, chemicals, paper, textiles, glass, armaments, and industrial machinery. Guided by the motto “In work and knowledge is our salvation”, they developed novel techniques for processing ham and fermenting beer, made a popular liquor from beets, invented a convenient way to market sugar (in cubes), introduced the assembly-line production of shoes, and were among the first to install electric rails and trams. Over time, I became conditioned to think of my homeland as exceptional, a country filled with humane and democratic people who had struggled constantly to survive despite foreign oppression. The nation’s finest moments had been marked by a willingness to defend itself against more powerful foes; the saddest by a failure to fight back when betrayed by supposed allies and friends. Its purest expression could be found in the period between the two world wars, when the Czechoslovak Republic served as a model of twentieth-century democracy within an otherwise dismal Europe. Albright’s own memories play almost no part in this book. Born in 1937, she has no memories of Prague before the war (and wouldn’t have, even if she were older, since her family was living in Belgrade where her diplomat father was posted). The Korbels spent the war in London, where Josef Korbel organized and managed BBC radio broadcasts to the Czech people back home and where he also served under Jan Masaryk in the Czech government in exile. 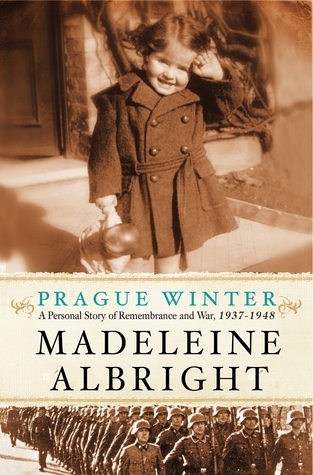 Albright only recalls details from the last couple of years of the war but she gives a marvellously detailed account using other sources of what was going on both in the Czech community in England and in the occupied Czech lands. She traces the fate of her family members detained at Terezin and then killed in Poland. She recounts the Czech resistance’s success and failures, most dramatically the blundered assassination of Reinhard Heydrich in 1942. She looks at the decisions involved towards the end of the war that led to the Russian forces liberating the Czech lands and establishing a foothold in the country. She talks about the awful expulsions that went on after the war, when a vengeful nation sought to drive out all of its ethnic Germans, regardless of their alliances. And she gives her own views on the mysterious death of Foreign Minister Jan Masaryk in 1948, officially stated as a suicide at the time by the communist government but ruled as murder in a later investigation after the Velvet Revolution. I found every page of this book fascinating but I was truly delighted by the depth of information Albright provides. With so much more detail, I was able to better understand some of the episodes from my own family’s history. For example, my grandmother’s first love had been in the RAF in England during the war. He came back after but left again in 1947. Now I know that the Czech and Slovak military was being trained in the style of the Red Army, which meant that those men who had served with the Russian military during the war were given the most prestigious postings while the British-trained men were effectively shunned: “The Communists wanted a monopoly on wartime heroes and so redefined the London-based military as a tool of capitalist oppression. Within a few years, the majority of the men who had fought so bravely with the RAF were either forced into exile or in jail.” Albright’s breaking down of the criteria for dispelling ethnic Germans after the war also helped me to understand why some of my family members were exempt while others were not: my great-grandmother, an ethnic German born in Bohemia, was excused because her family had been targeted by the Nazis (her Czech husband had been killed by the Gestapo) but her two sisters, both widows of other ethnic Germans, had no such ‘proof’ of their loyalty and were so forced to reapply for citizenship, which was initially refused. Focusing on the difficult moral choices during these eventful years, Albright adds a new and more personal dimension to the book. Her own life story is briefly sketched over the course of the book but it is never the focus. It is by contemplating the moral dilemmas faced by statesmen and civilians alike that she reveals more of herself to the reader. What fascinates me – and what serves as a central theme of this book – is why we make the choices we do. What separates us from the world we have and the kind of ethical universe envisioned by someone like Havel? What prompts one person to act boldly in a moment of crisis and a second to seek shelter in the crowd? Why do some people become stronger in the face of adversity while others quickly lose heart? What separates the bully from the protector? Is it education, spiritual belief, our parents, our friends, the circumstances of our birth, traumatic events, or more likely some combination that spells the difference? More succinctly, do our hopes for the future hinge on a desirable unfolding of external events or some mysterious process within? She asks the reader to ponder the complexities of responsibility and to contemplate his or her own ethical values. It is not so that the reader can answer ‘correctly’ as to how to behave in a challenging circumstance but so that he or she can better understand the pressures that shape history and judge more fairly even the most disastrous of decisions. I adored Prague Winter. There is no other single English-language book out there that provides such a thorough overview and analysis of this period of Czech history and certainly not one that does it in such an engaging and approachable manner. Trust me, I’ve been looking for over a decade. I have read everything I could get my hands on, have grilled relatives, have absorbed any information I could find and yet still I only knew a fraction of what Albright includes here. After I finished reading, I immediately went out and bought a copy for my aunt, who in turn leant it out to a friend as soon as she finished reading. It is that kind of book. “Prague Winter” has been on my radar screen, leaving me more than anxious to read your review, which is excellent! Thank you for it. I knew it had been published and had some interest in it, but, that interest accelerated when I watched an in depth interview of Albright on CSpan’s BookTV program, “After Words”. It is a well spent 50 minutes or so, Claire, and if you haven’t seen it, you might want to take the time to do so. Ann Blackman does the interview. I believe she wrote a biography of Madeleine Albright. You can still find this online at CSpan and I think you would appreciate it. You might also really enjoy reading Marcia Davenport’s Too Strong For Fantasy. I thought this was a memoir, had no idea it included so much history. Now I definitely want to read it. I nearly picked this one up at the library on Saturday. I am definitely going to be going back for it. Thanks for your review! 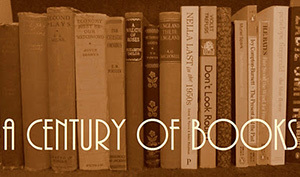 Memoir and history – yes this is for me. I had it out from the library and had to return it before I got to it – thanks for the reminder to put it back on my list.